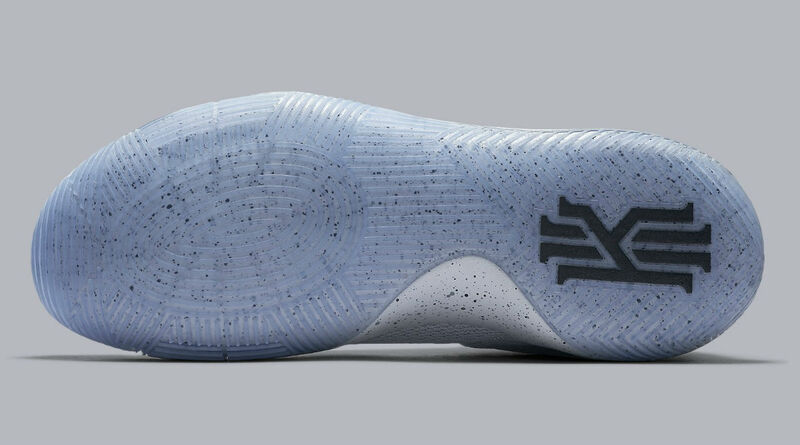 The "Battle Grey" Nike Kyrie 2 releases this weekend. 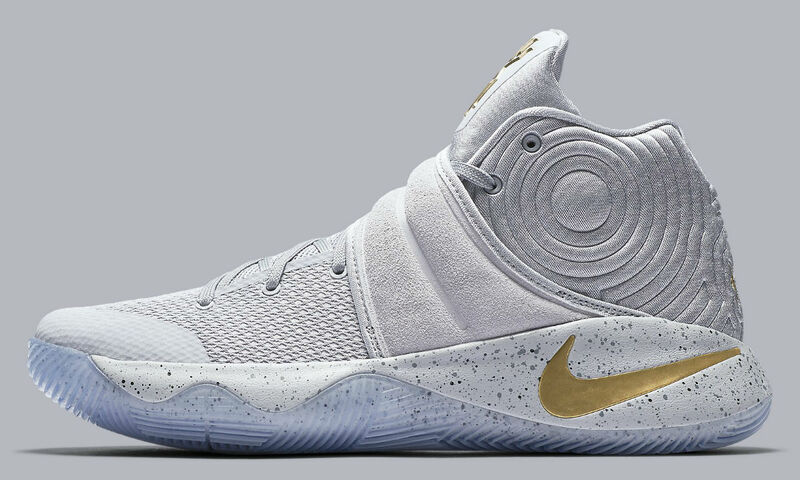 There's a ton of Nike Kyrie 2 colorways, but only one worn by Kyrie Irving when he received his first championship ring this past Tuesday. 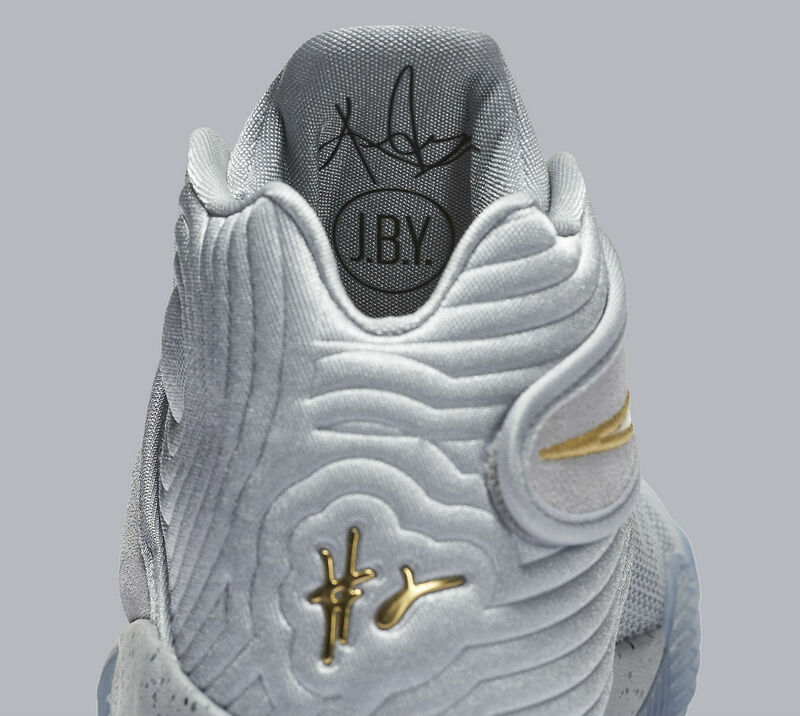 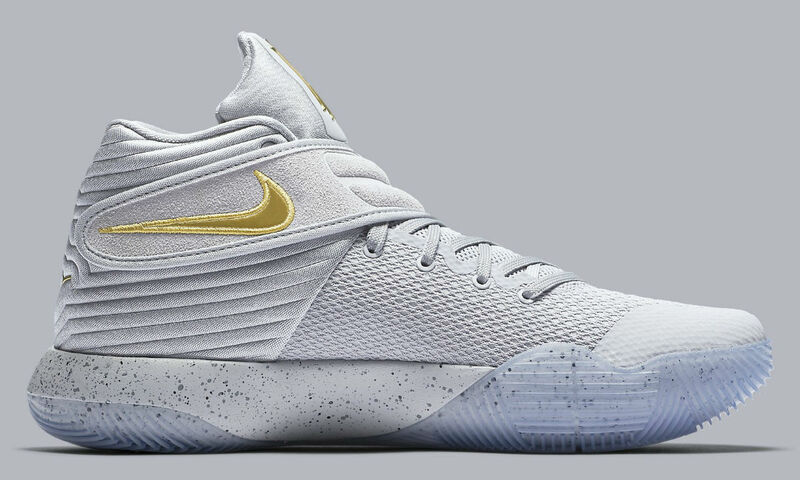 Part of Nike Basketball and Jordan's Brand's collection for Opening Night, the "Battle Grey" Kyrie 2 sports a full grey upper, with a suede cross-strap and metallic gold branding hits. 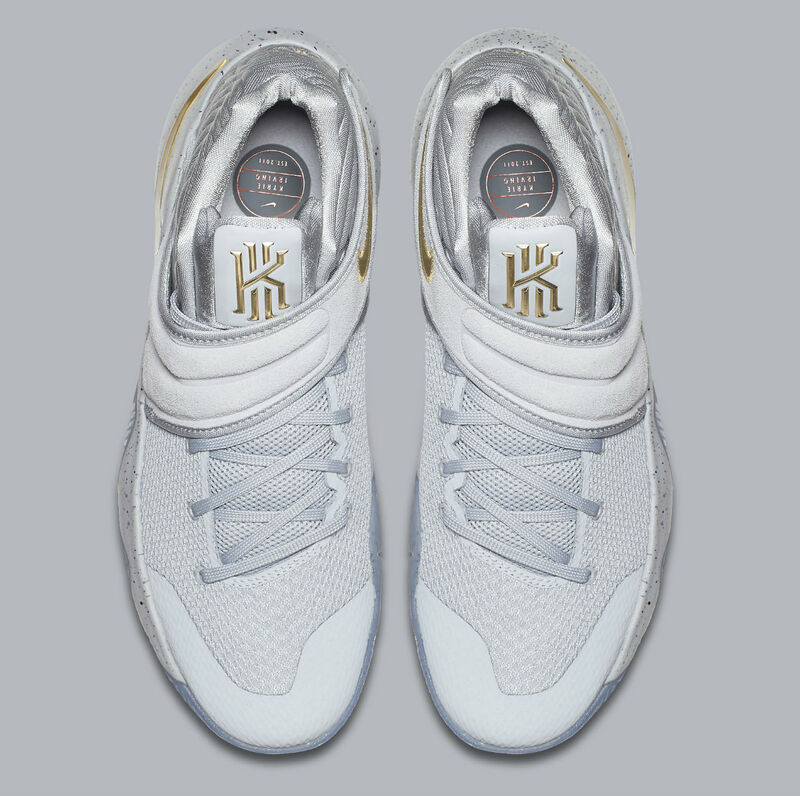 Below sits a speckled midsole and icy translucent outsole. 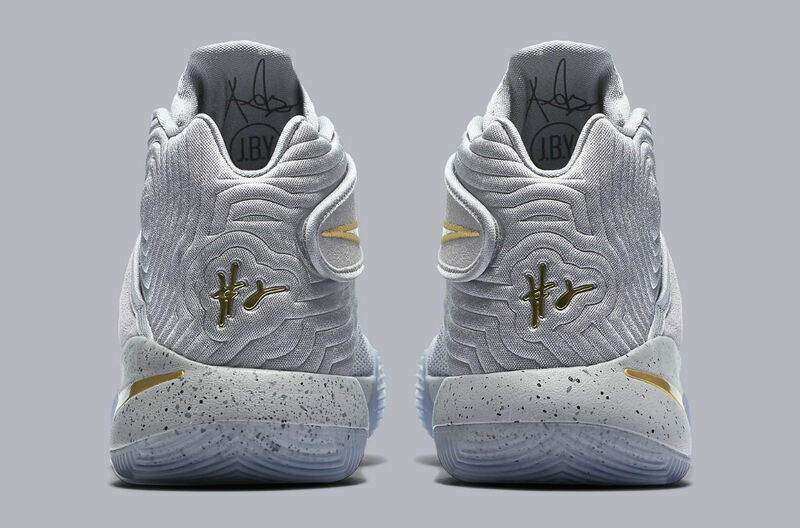 This pair releases this Saturday, Oct. 29 on Nike SNKRS.